This page Ban (law) is part of the censorship portal. Bans are formed for the prohibition of activities within a certain political territory. Some see this as a negative act (equating it to a form of censorship or discrimination). With the advent of the internet, the ability of groups or governments to ban media products is hindered. Obvious problems with using the internet as a distribution system include the inability for a producer to profit from his or her product. Recently, Michael Moore stirred up controversy by encouraging people who were curious about but didn't want to financially support his film, Fahrenheit 9/11, to download it and watch it on their computers. "The book which most deserved to be banned would be a catalogue of banned books," once said Georg Christoph Lichtenberg. 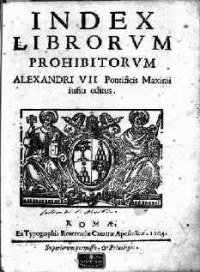 Many societies have banned certain books. Grounds for banning are 1) political, 2) religious, 3) sexual and 4) social. The invention of the printing press and movable type led to the Index Librorum Prohibitorum and a climate where every book either first needed an imprimatur or a Royal Privilege. For nearly the entire history of film production, certain films have been either boycotted by political and religious groups or literally banned by a regime for political or moral reasons. Paradoxically, banning a movie often completely fails to achieve its intention of preventing a movie from being seen—the publicity given worldwide to banned films often results in it being given attention it might not otherwise receive. With the advent of the Internet, the ability of groups or governments to ban a film is hindered. High-speed Internet access give more people access to digital copies of movies that might not be available for viewing in theaters. 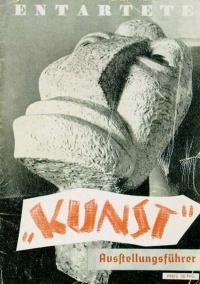 Censorship of Music, the practice of censoring music from the public, may take the form of partial or total censorship with the latter banning the music entirely. The music in question may be a song, or part thereof, a collection of songs (such as a particular album) or a genre of music. Both songs and albums have been banned in the past. It has become less common in western countries. However, the censorship of particular words deemed as profanity is still commonplace. Unless indicated otherwise, the text in this article is either based on Wikipedia article "Ban (law)" or another language Wikipedia page thereof used under the terms of the GNU Free Documentation License; or on original research by Jahsonic and friends. See Art and Popular Culture's copyright notice. This page was last modified 13:09, 20 February 2016.